Announce your wedding day in the style it deserves with personalised wedding invitations and cards from Where The Trade Buys’ wedding stationery collection. This important piece will set the stage and give guests a glimpse of the big day ahead. 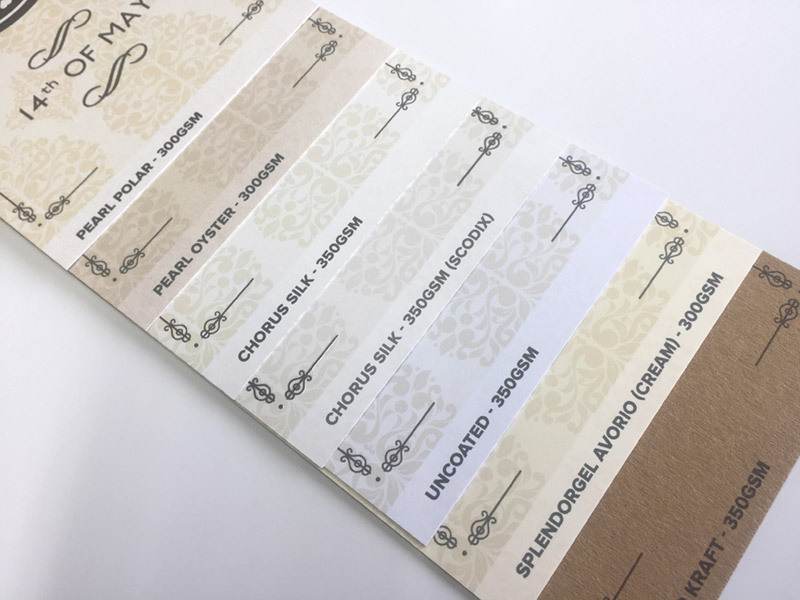 Whether your wedding is traditional or contemporary themed, our beautiful range of premium papers are sure to compliment your chosen characteristic. Complete with impressive finishing options like Laser Cutting and Scodix, your big day will certainly be one to remember! For the ultimate hassle-free wedding, why not customise your invitations with guest names? Buy more of your wedding essentials with us such as wedding menus , save the date cards and table name cards.